This story of an aspiring actress travelling to South Africa in order to research a part before falling for the local farmer is, despite its good intentions, ridiculously trite. You know every beat of this story before it happens because you have seen it about 20,000 times before. Still, with fresh writing, a good cast and enough humour even the most tired of plots can enjoy something of a new lease of life. Leading Lady doesn’t exactly have all of that going for it though. The one fairly strong thing going for this is its humour, I must admit I laughed a number of times and that really helped the film from turning into a real slog. It’s lead performance by rising star Katie McGrath is actually another highlight but, and this is going to sound contradictory, it’s quite hard to stand her on screen. McGrath does the best that she can with what she is given, but not even the Streep’s of this world couldn’t make this character engaging; she’s shallow, irritating and makes some of the most illogical and unpleasant decisions I have seen a ‘hero’ make in a rom-com for some time. We are left scratching our heads as to what the other character’s see in this vain and self-obsessed character, in fact McGrath deserves praise for the amount of charm and likeability she does manage to bring to the table despite everything. It’s lack of originality and leading character aren’t good but what hurts this film the most is the script. Almost all of the dialogue feels forced, especially that which is exchanged between the smitten pair. The plot is simply composed of contrivances followed by a clichés over and over, rinse and repeat until the 100 minute are up. It’s a shame because you can tell everyone’s heart is in the right place, but this is one rom-com best avoided. 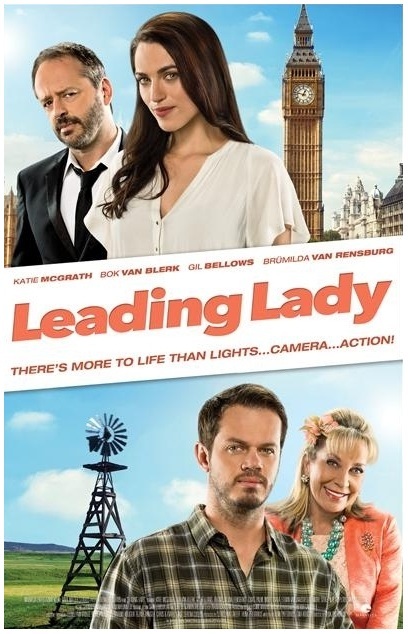 Leading Lady opens in the UK today, will you be checking it out? Let u know your thoughts in the box below! Yeah it could have been better!